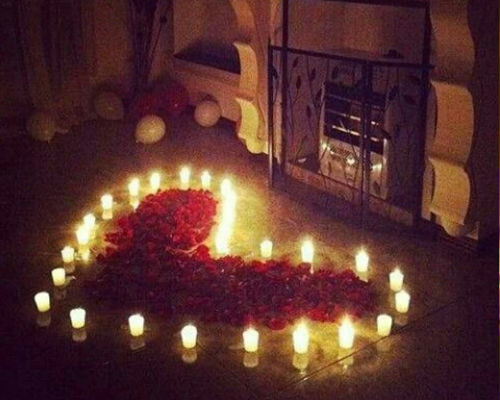 Do you prefer staying at home on your special days? 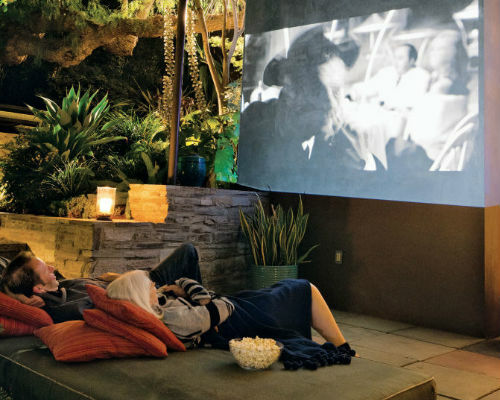 Transform your house to a romantic theatre for an evening. 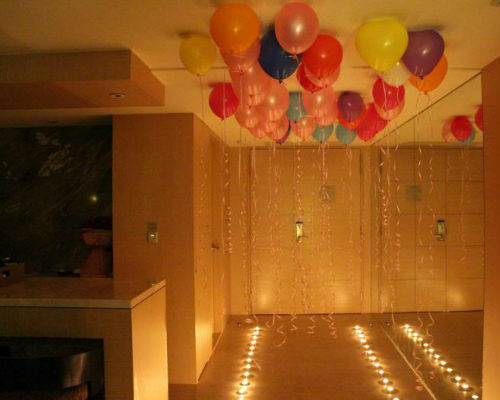 Tasteful decoration with balloons, candles and fresh flower petals will set the mood for the evening. 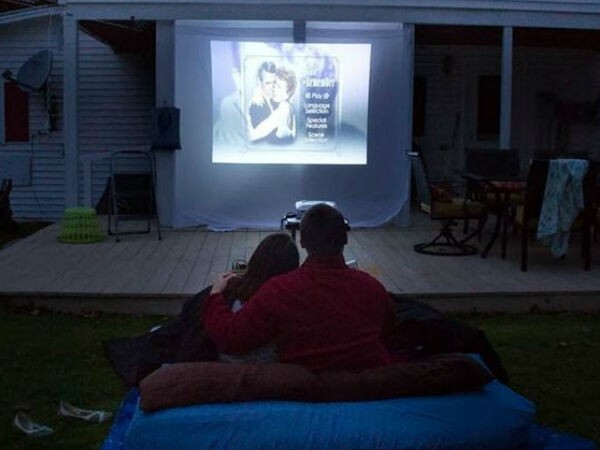 Soaking in the ambience, enjoy your favourite movie on a big screen set by CherishX team. A memorable evening within privacy and comforts of your home. A cherish date artist would visit you at the time slot you select to decorate the living space to the romantic theme. 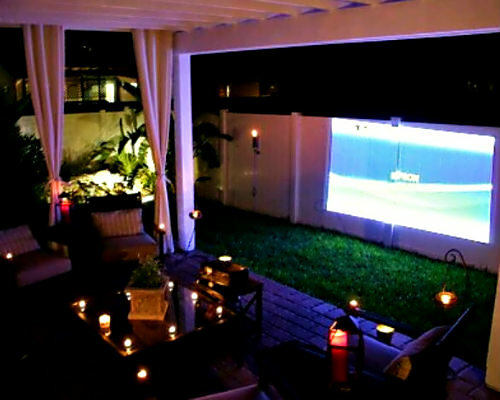 A CherishX technician would meanwhile set up the projector for the movie transforming your house to a private theatre. 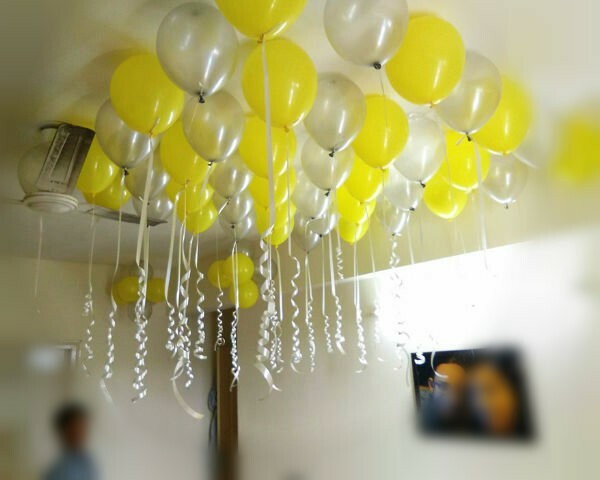 You can add a melodious spin to the evening by selecting some tasteful customisations. 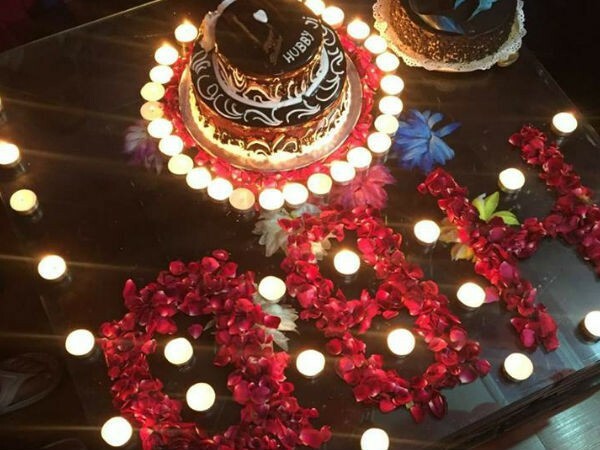 Cake of your choice & flower bouquet can be added for anniversary & birthday celebrations. We can also send a private guitarist, who will play your partner’s favorite songs. And for your gift you can add a special “Picture of pictures” photo frame - combine hundreds of your small memories (photos) to form an big picture frame (couriered to your home). Mac (apple laptop) connectors are not available at all locations. Please let us know in advance if you want to connect the projector to a apple mac system.